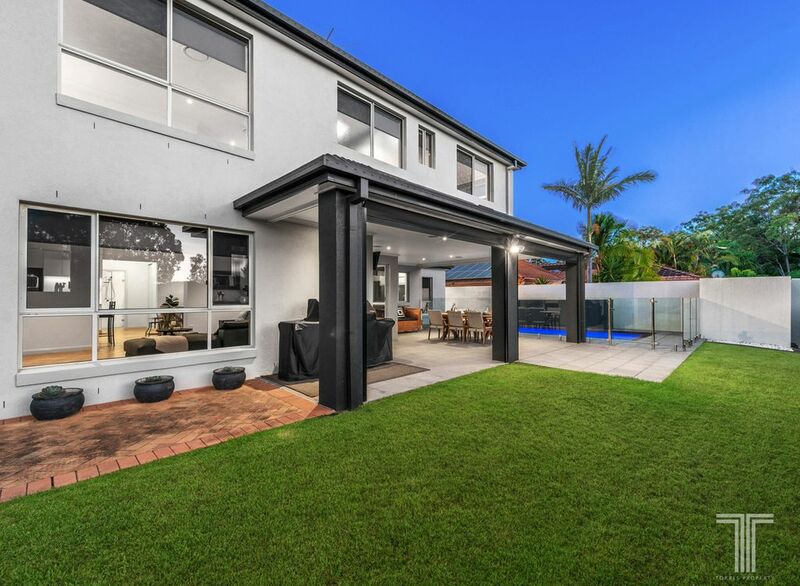 A scenic retreat backing directly onto parkland, this modern oasis is the family home you have been dreaming of. 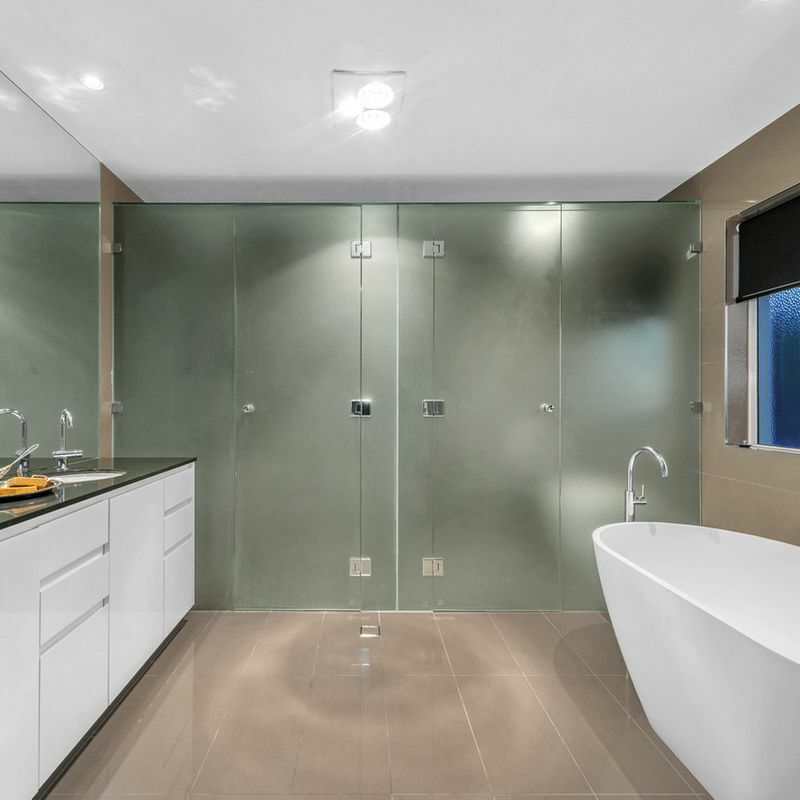 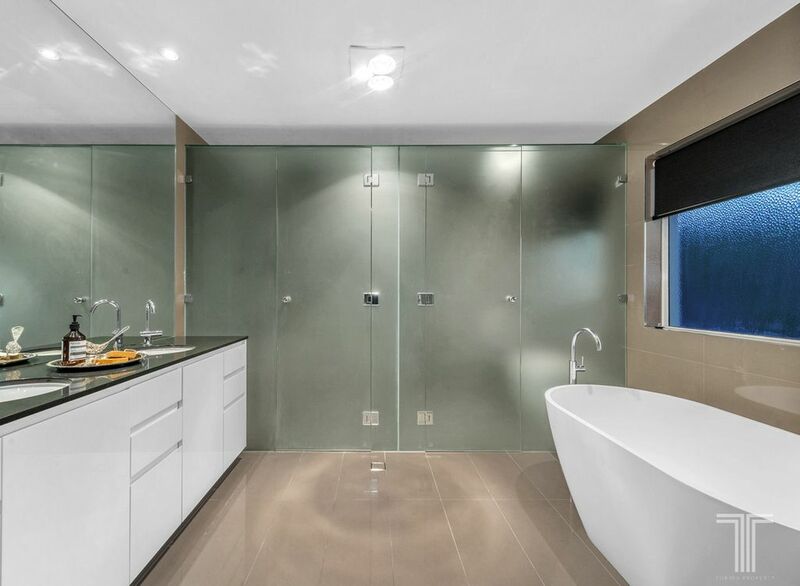 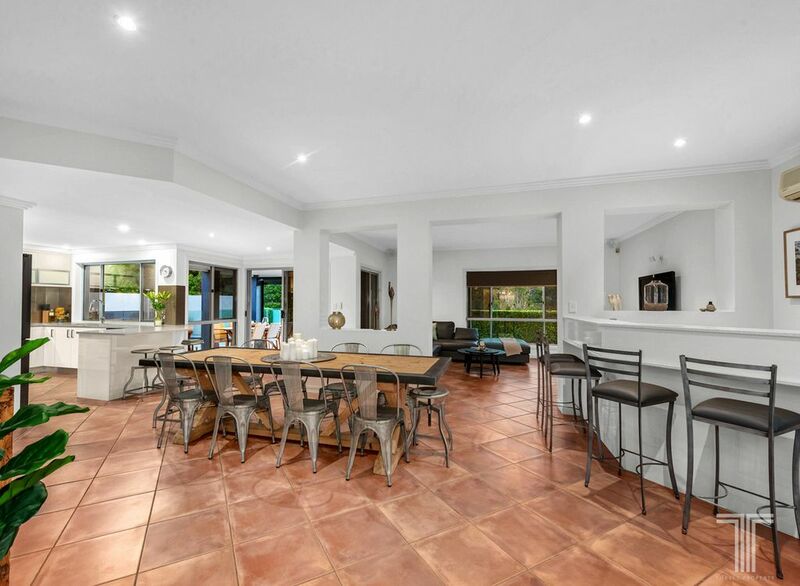 Presenting exceptionally low maintenance interiors with sleek floor tiles and soaring ceilings, the open plan lounge and dining area is centrally positioned between the gourmet kitchen and stylish wet bar. 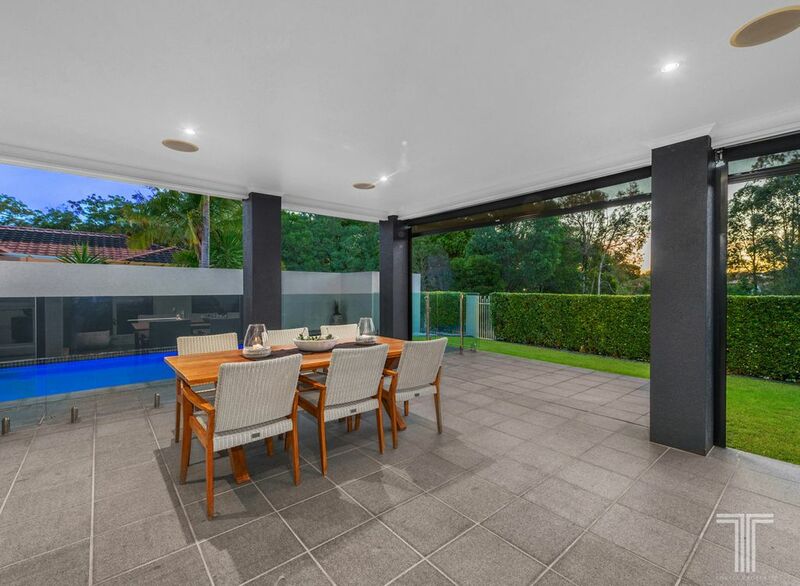 Catering effortlessly to family living or flawless entertaining, extend from this central living space out onto the inviting entertainer’s patio with outdoor speakers, manicured gardens and glass framed pool with tranquil water feature. 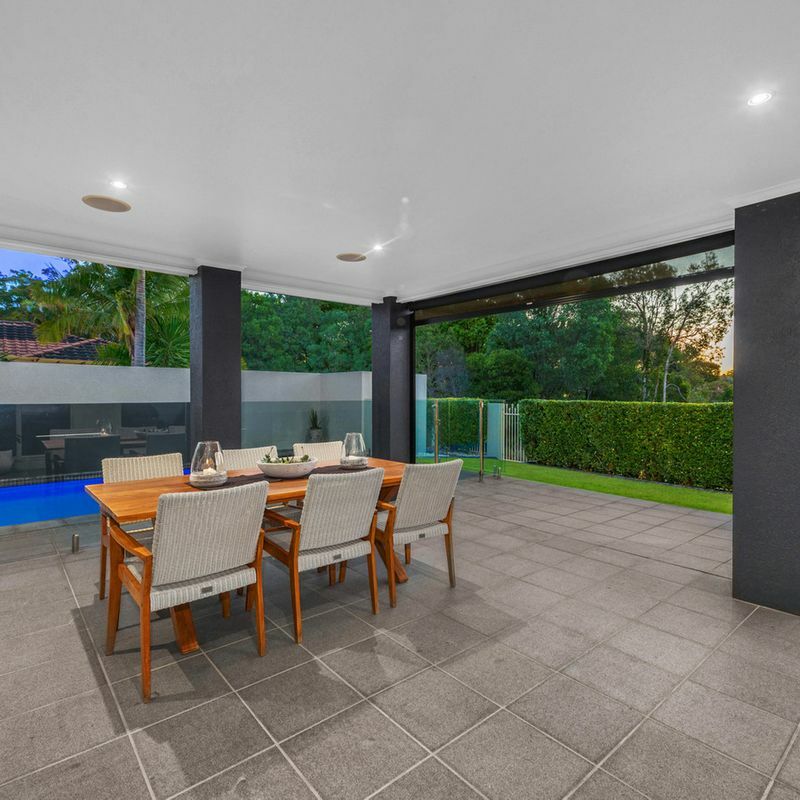 The ultimate outdoor retreat, you will never tire of hosting here. 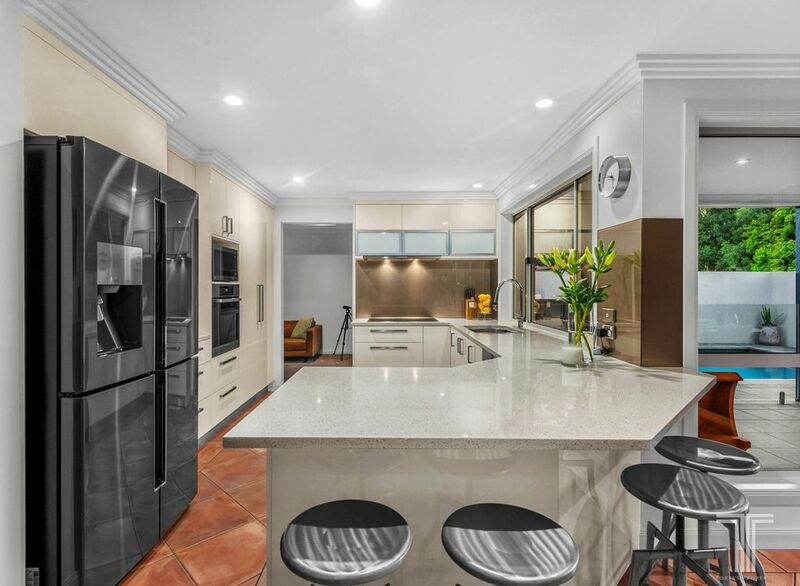 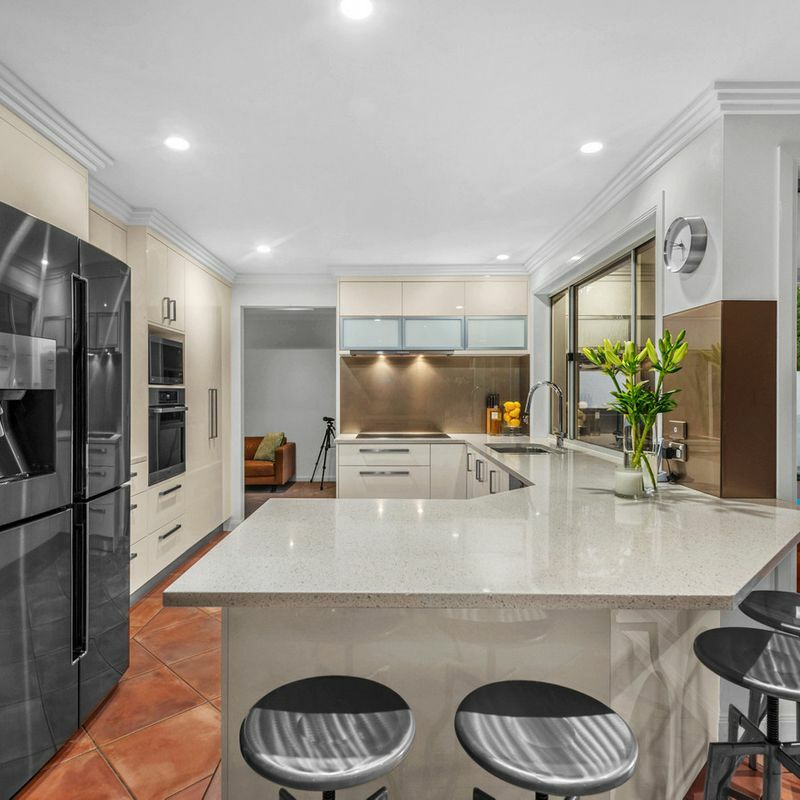 Designed for all things culinary and adorned with striking stone benchtops, the stylish kitchen easily services the indoor living areas and outdoor entertaining space, and boasts ample cabinetry, breakfast bar, Miele appliances and plumbed double door fridge. 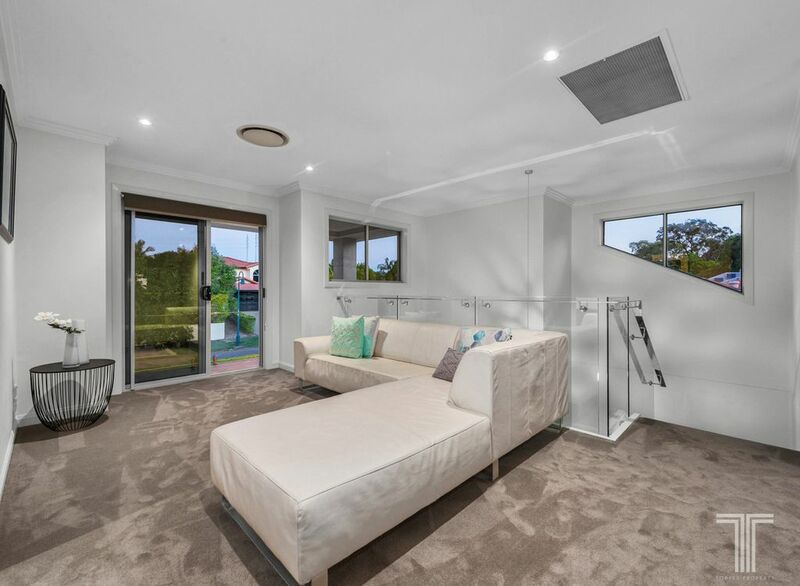 Away from the central living area and offering further space to unwind, residents can relax in the spacious family room featuring plush carpeting, high ceilings and lovely picture window overlooking the pool. 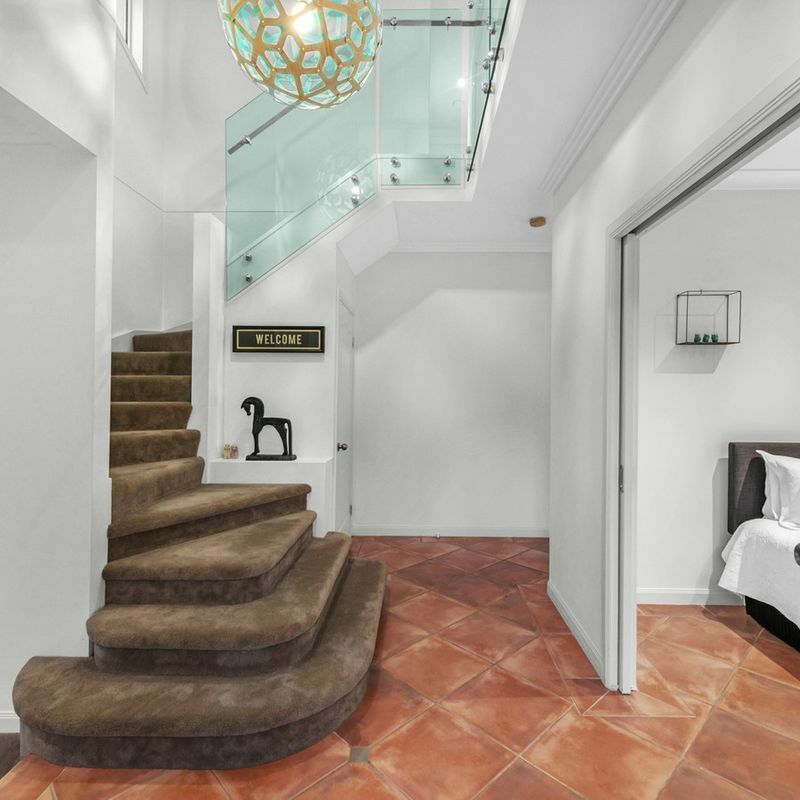 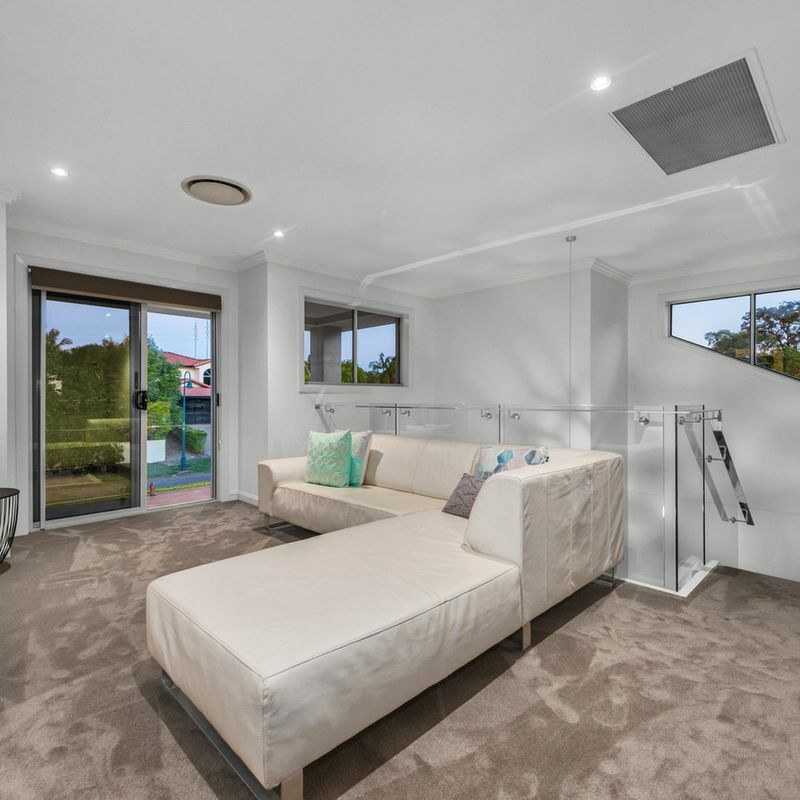 Positioned on the upper level, a rumpus room with private balcony accompanies four of the home’s five bedrooms. 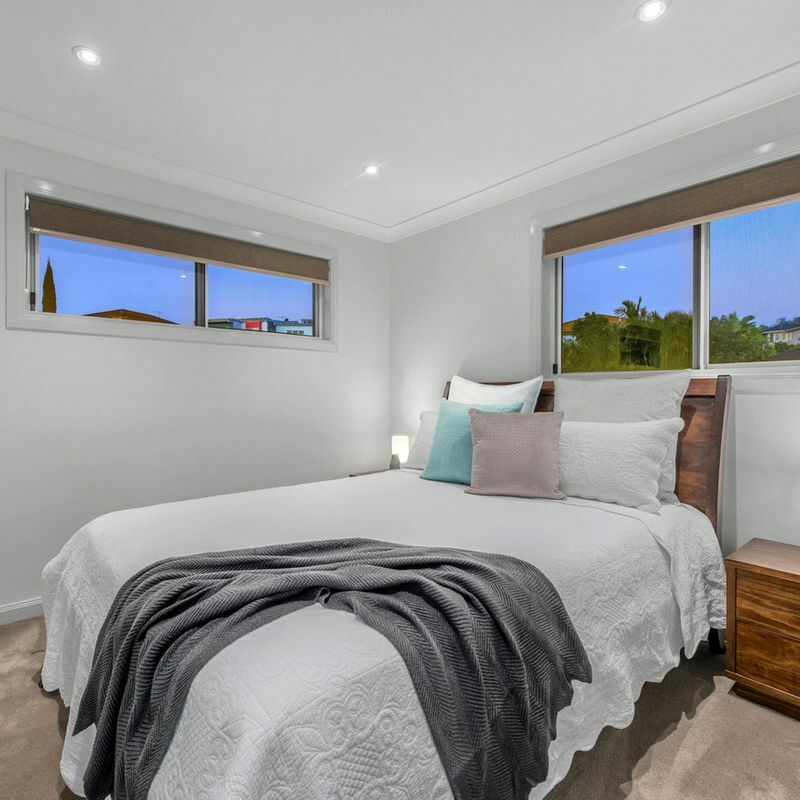 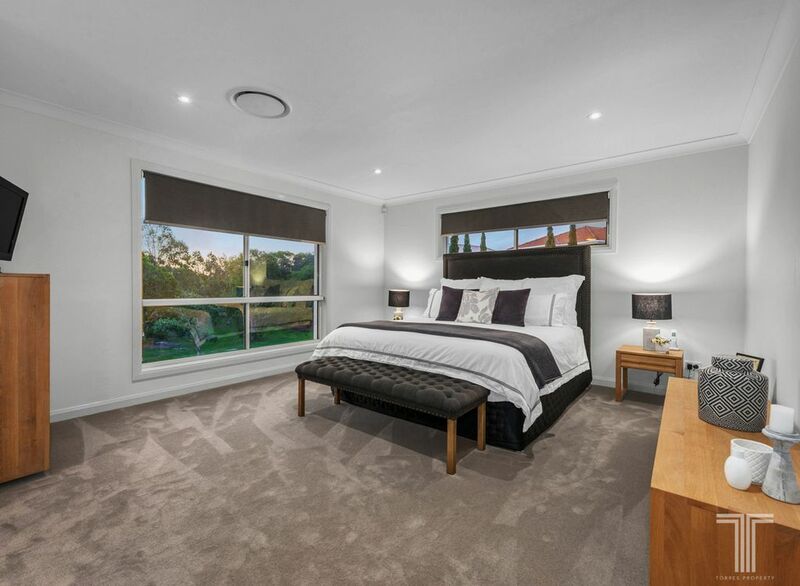 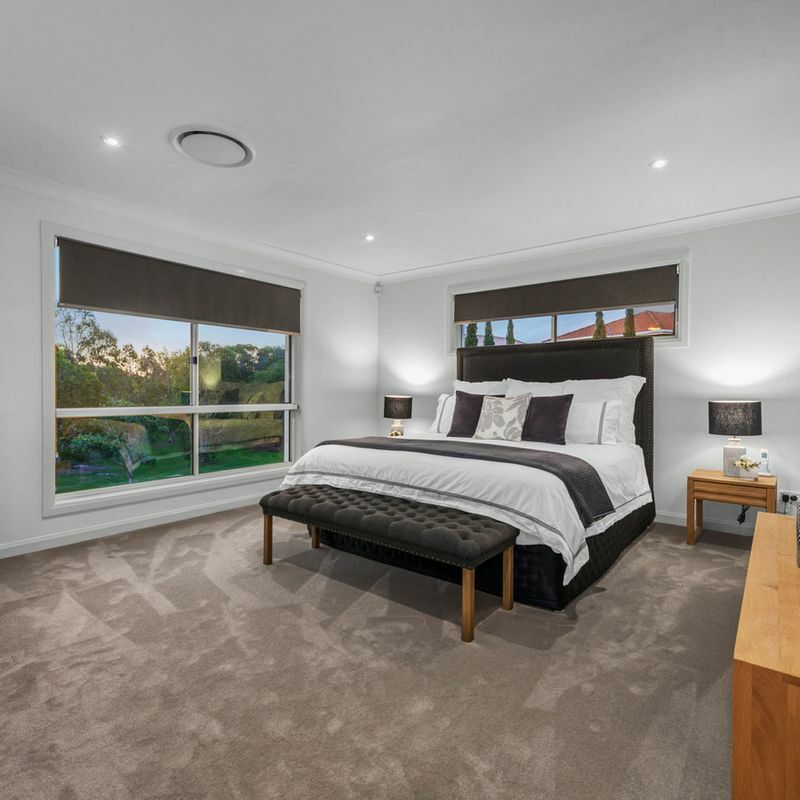 An exceptional retreat with walk-in robe and luxurious ensuite with deep bath and dual vanities, the master bedroom is very generously sized and enjoys views across the yard and park. 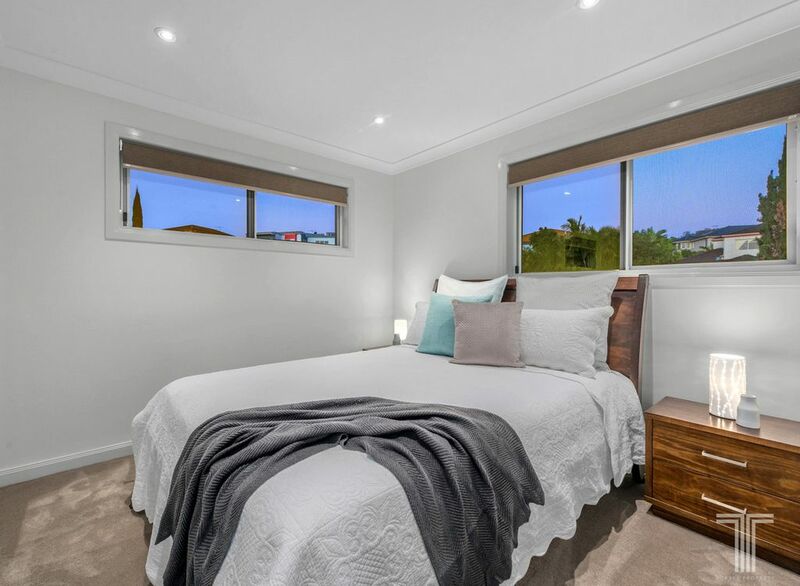 The additional three bedrooms all include walk-in robes and are serviced by the main bathroom with separate toilet, with one bedroom also enjoying park views. 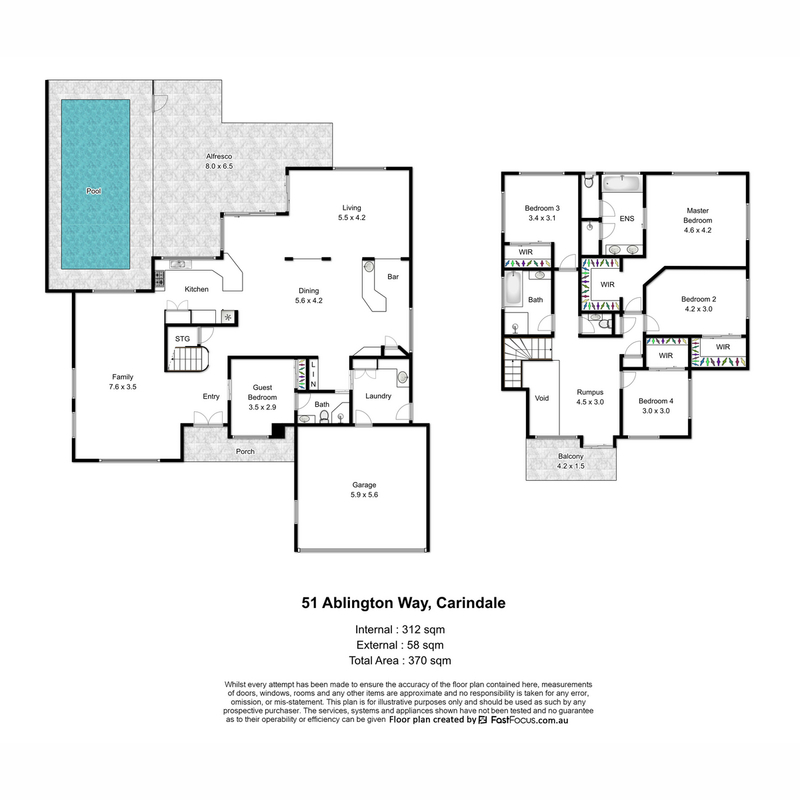 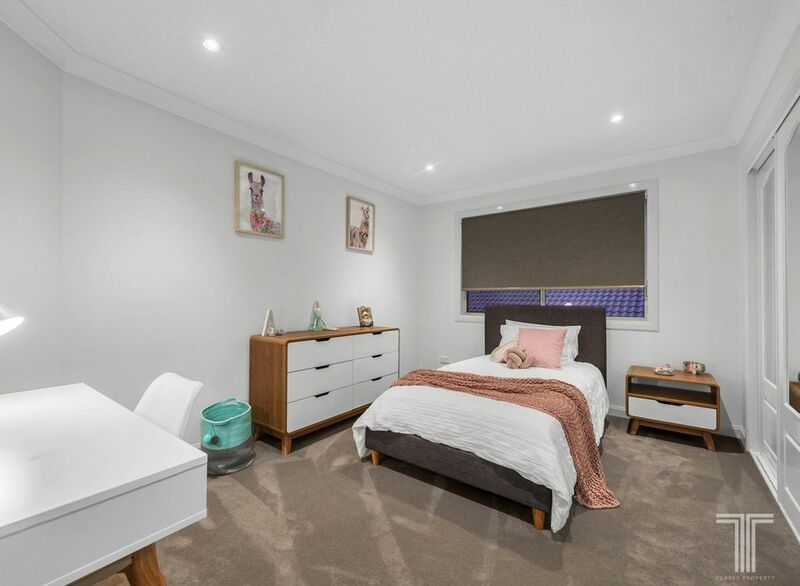 On the ground floor, a fifth bedroom with built-in robe is ideal for grandparents or guests and located just steps from the third bathroom. 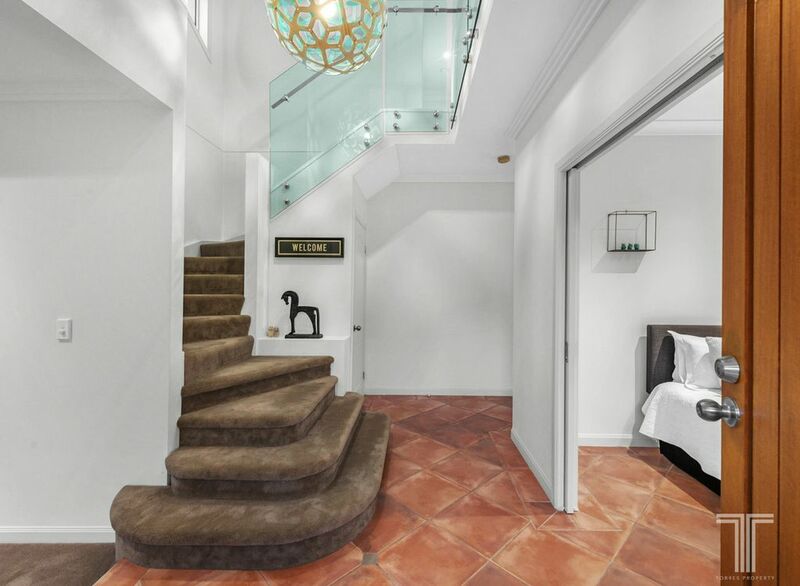 Backing directly onto Newbury Place Park with private access, this scenic setting is perfect for family living. 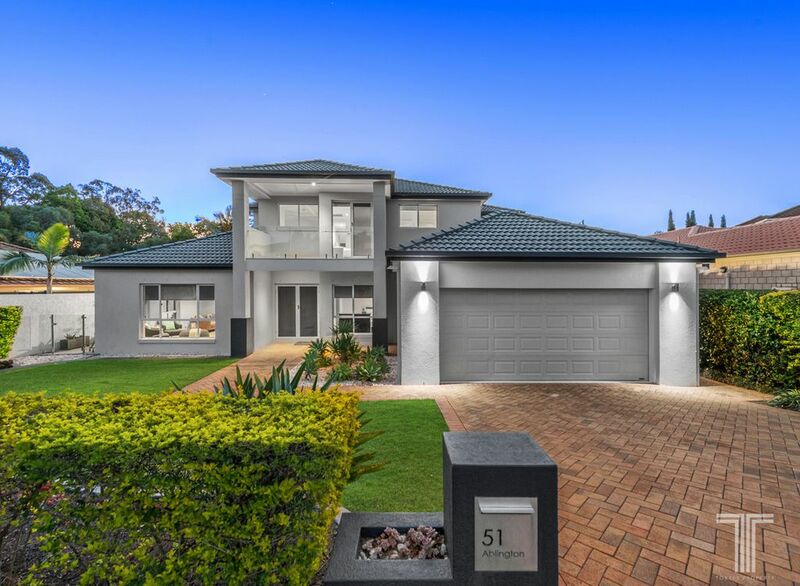 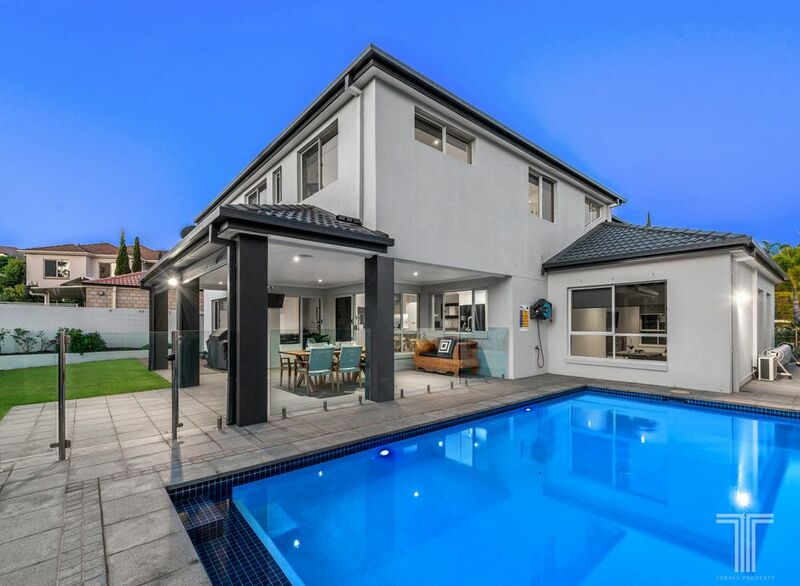 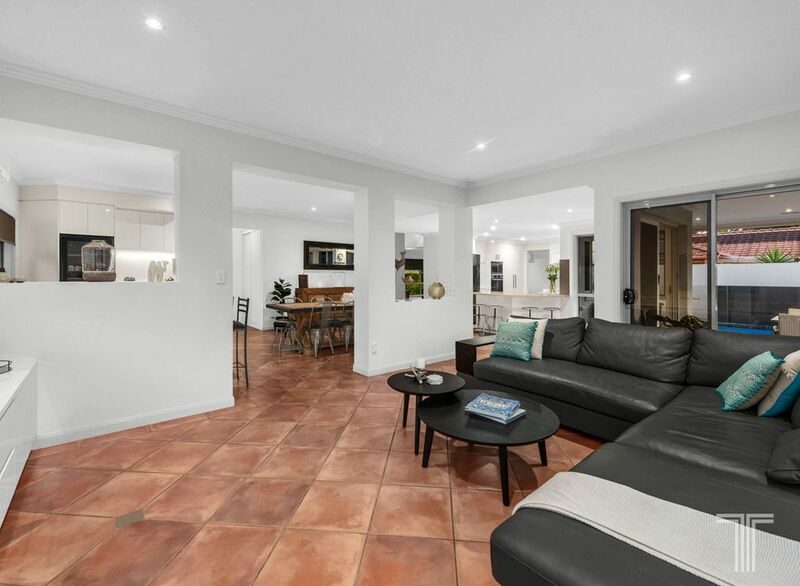 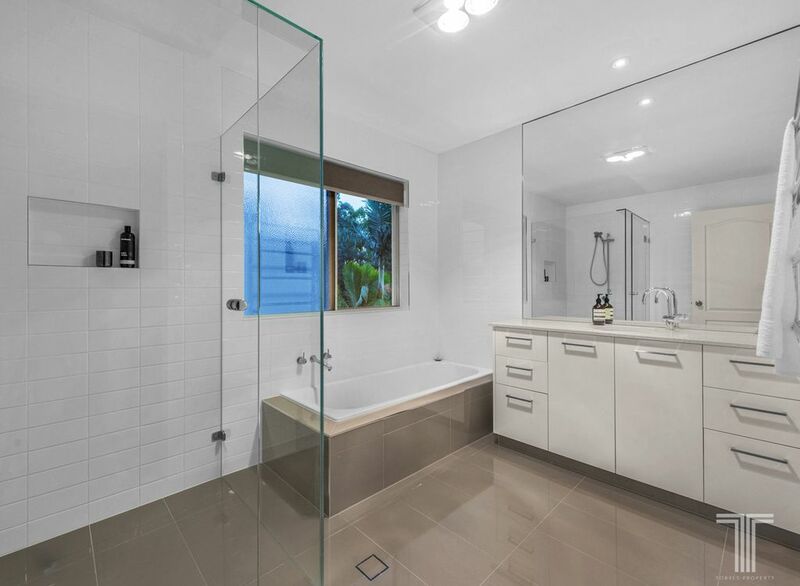 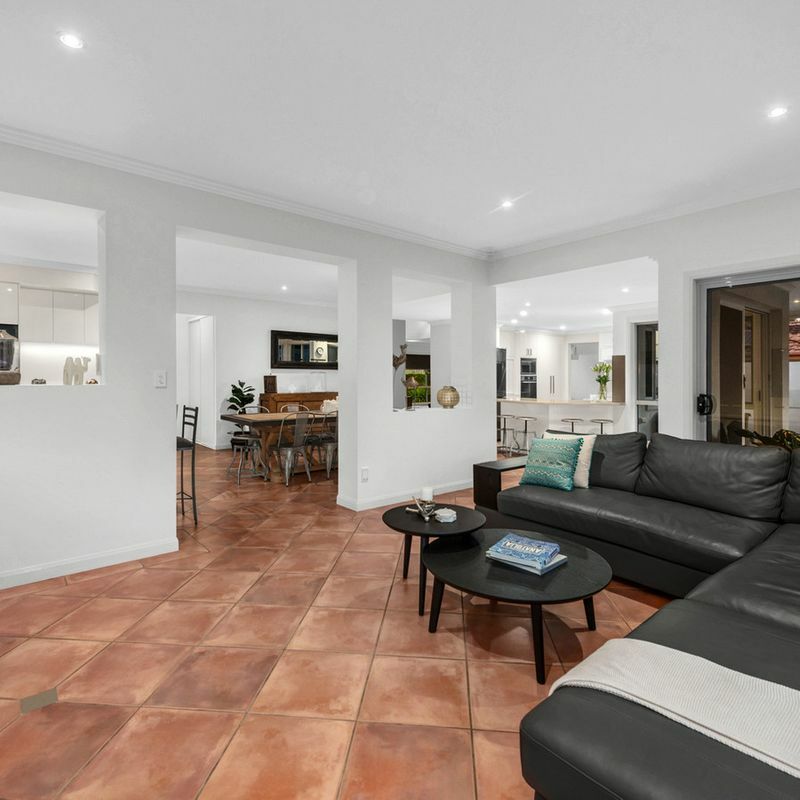 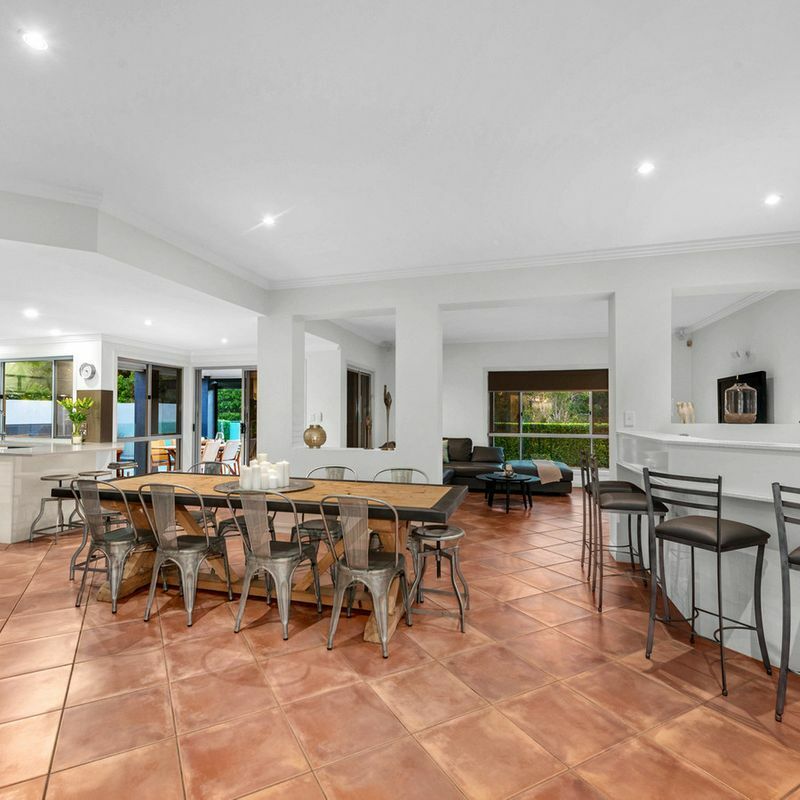 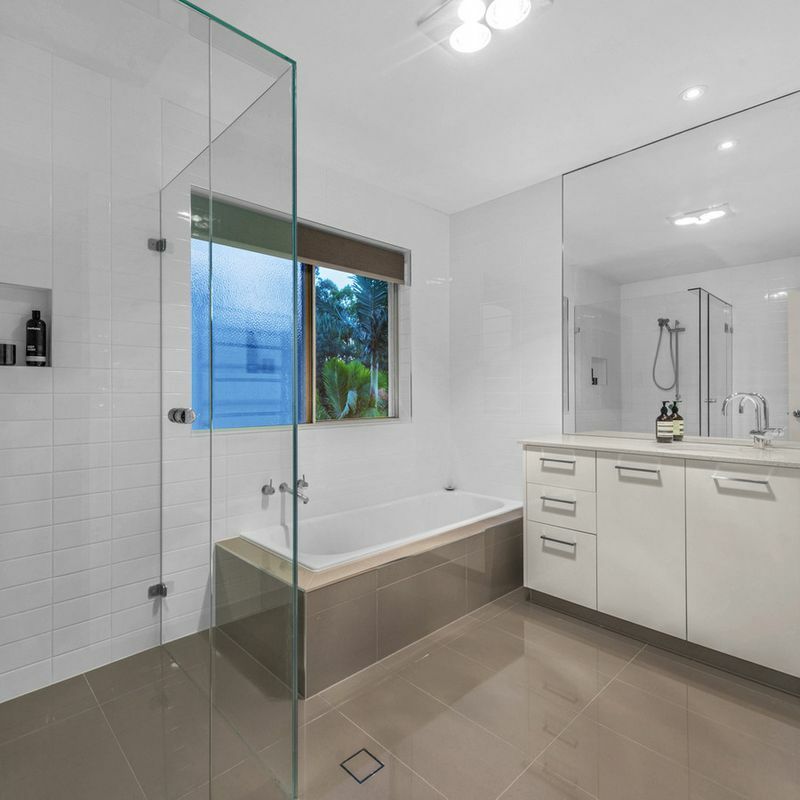 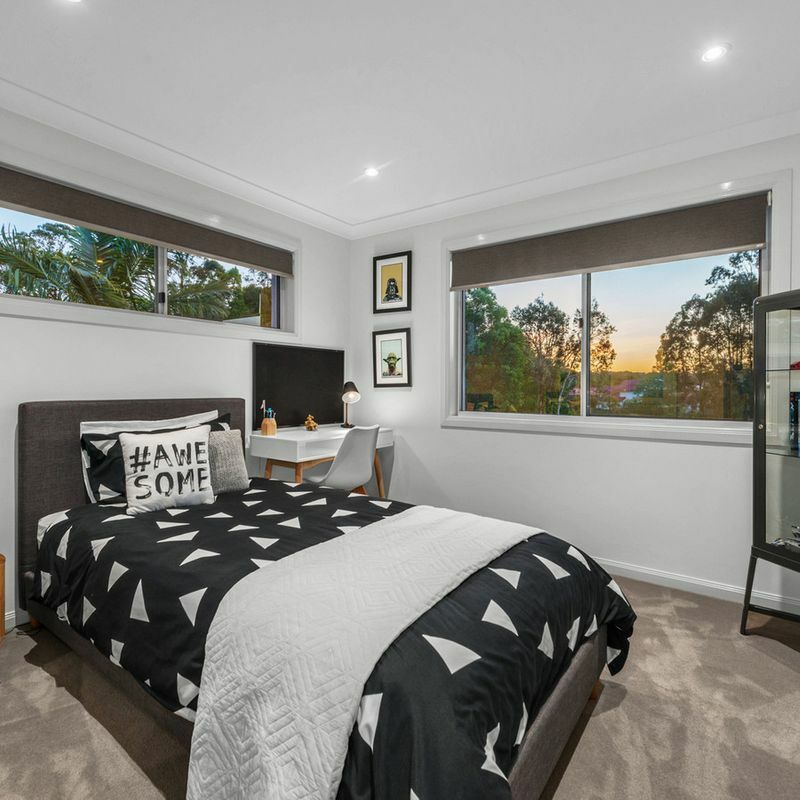 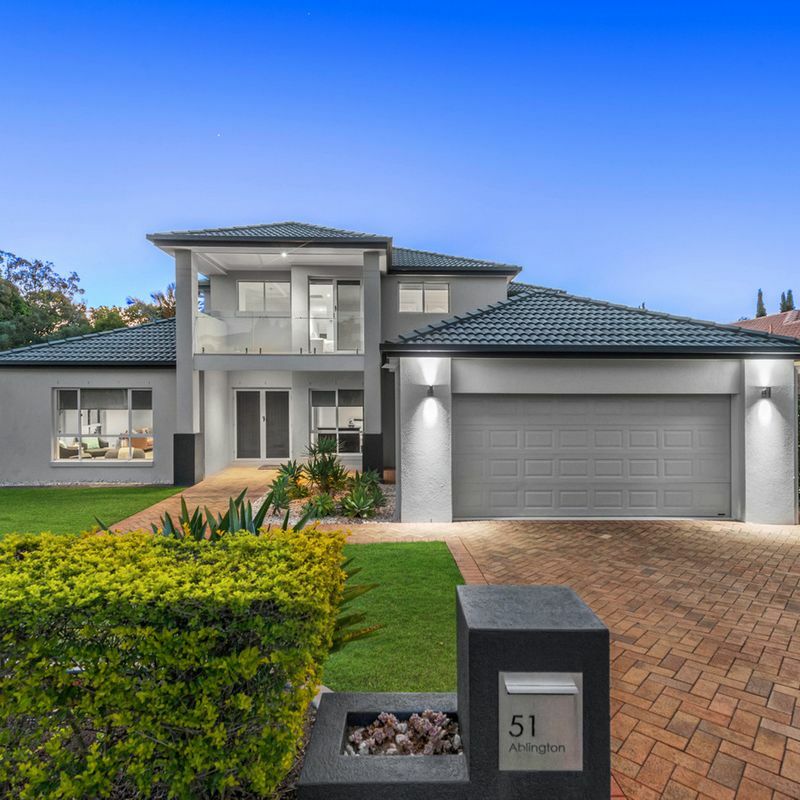 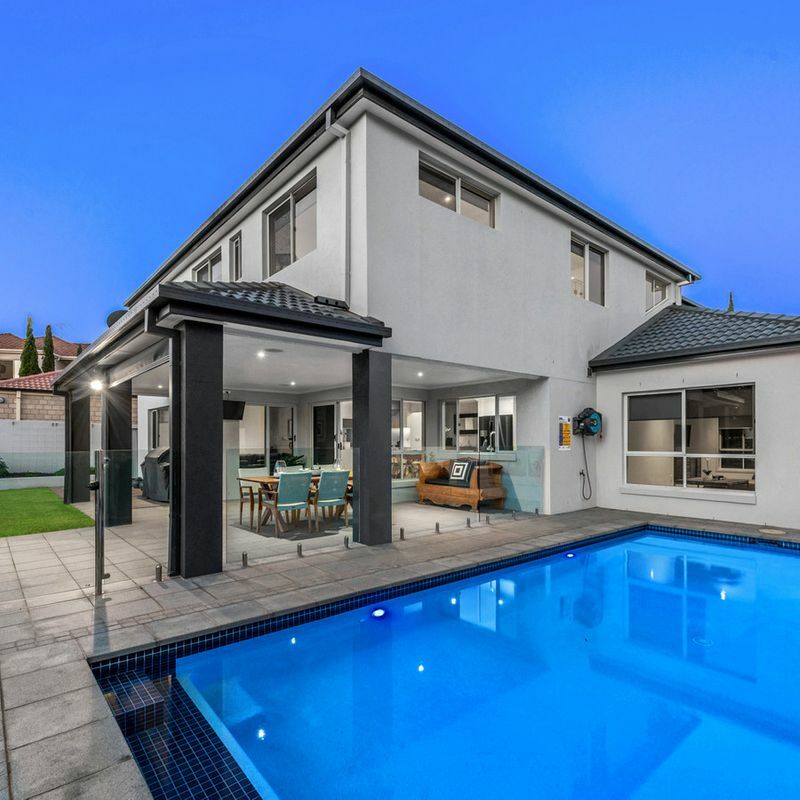 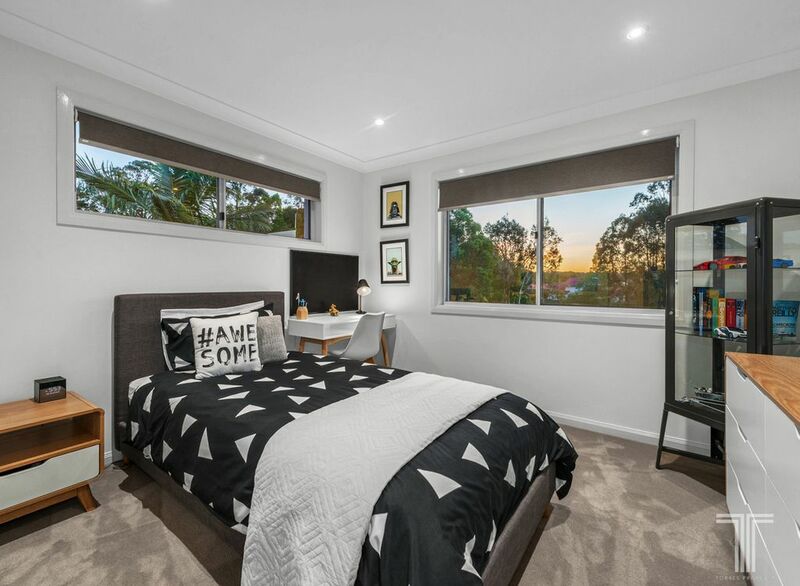 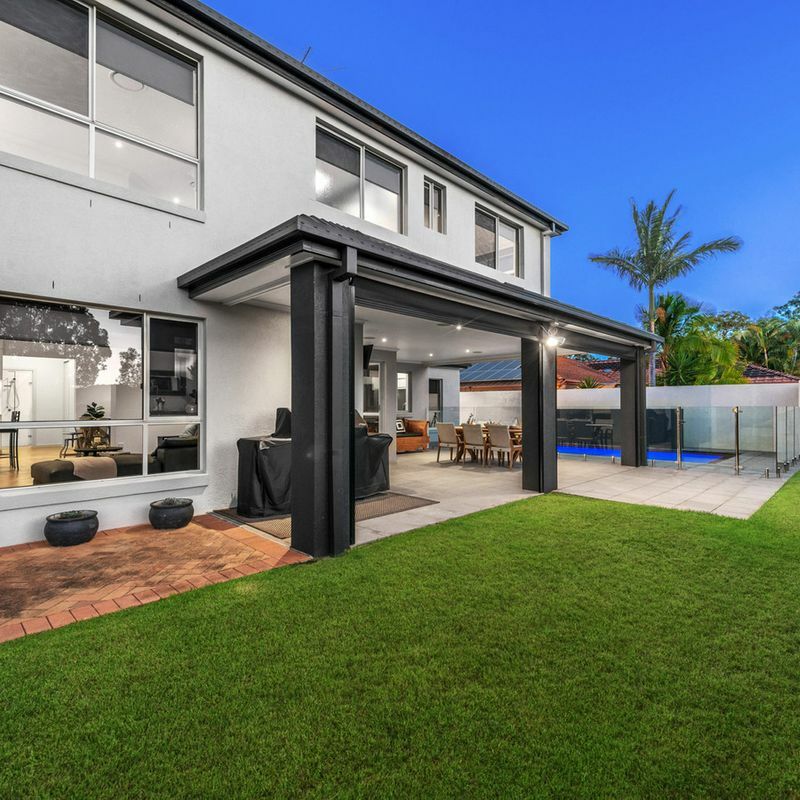 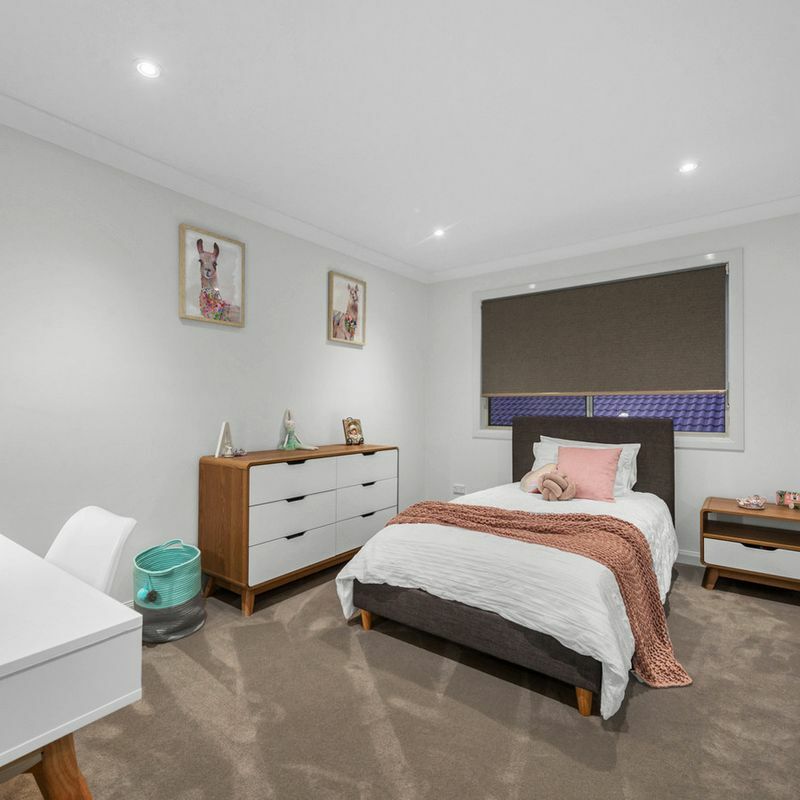 Close to bus stops, further parkland, local shops, quality schools, Westfield Carindale and with easy access to the Gateway Motorway, this is an opportunity not to be missed.